Growing food is one of the most fulfilling things you can do in your garden although growing flowers also provides much for the soul. 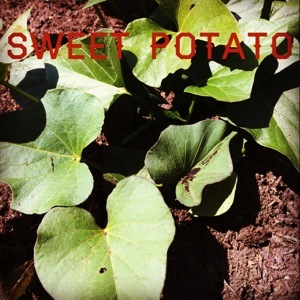 My wife has been pushing me to grow more food for the last several years, so when these sweet potatoes started sprouting in the pantry, it seemed a frugal way to try growing them out in the garden. These vines are taking off very well and I am hoping for a big crop of sweet potatoes for my curry in the coming months. Categorized under: Education, Food, Garden Alphabet, Photos, Vegetables.